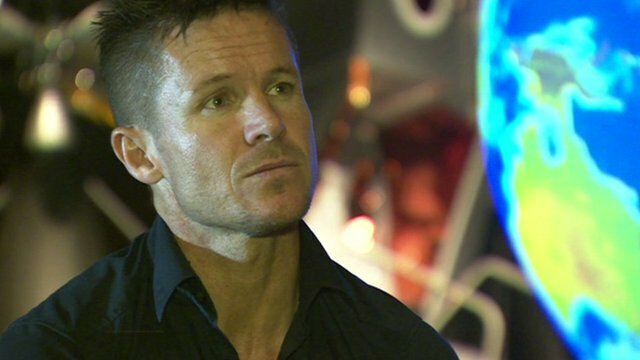 Austrian Felix Baumgartner is the first skydiver to go faster than the speed of sound – but a severe claustrophobic reaction to the pressure suit he had to wear during his ascent to 39km (24 miles) and his freefall almost put the whole project in jeopardy. The 43-year-old adventurer had never worked at extreme altitude before, and in order to survive the jump he needed to be more than a skydiver – he needed to become a test pilot. 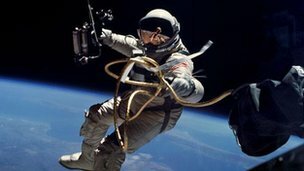 His next generation, full pressure suit was made by the same company that prepares the flight suits of astronauts – but whereas a test pilot would have a couple of thousand hours to train in a pressure suit, Baumgartner only had 20. A BBC/National Geographic documentary about the project reveals how much he struggled during the four years of training. “Having this suit on my body and feeling it, and the smell of the rubber, made me anxious,” he said. So anxious, that he took a year off training, returned to his home in Austria and had hypnotherapy to help him prepare mentally for the challenge. 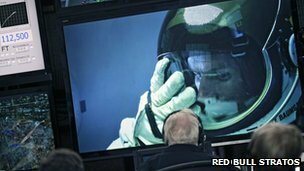 Retired US Air Force Col Joe Kittinger, who previously held the record for the highest freefall, acted as Baumgartner’s radio link in mission control at Roswell airport, and understood the risks of the dive better than anyone else. “The vacuum, the nothingness, it’s waiting there to kill you immediately. It’s hostile up there, there’s no pressure, it’s cold, there’s the glare. If something breaks, that’s it,” he said. His survival relied on one piece of technology above all others – his pressurised suit. Even experienced astronauts struggle with the suit and he had to learn to skydive in it. Baumgartner had to fight the urge to tell the team to get him out of the suit when training in a pressure chamber. One of the team’s biggest fears was that Baumgartner’s suit would fail above the Armstrong limit – the altitude that produces an atmospheric pressure so low (0.0618 atmosphere) that water boils at the normal temperature of the human body. “You don’t have the pressure of the atmosphere holding the gases in your bloodstream – so your body starts releasing all the gas. Out of every orifice you have you’ll start to ooze fluids. It’s like the worst possible horror film,” said Art Thompson, the project team principal. 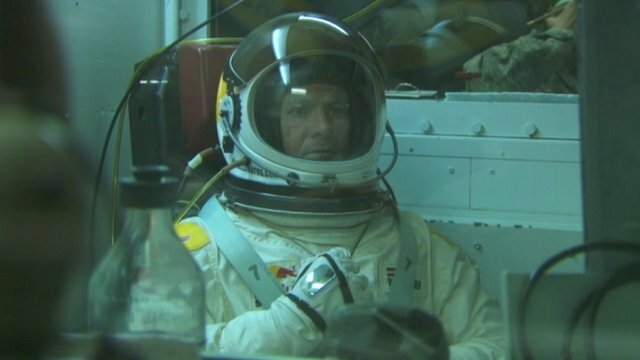 Baumgartner’s hand-sewn pressure suit cost more than one million pounds and is capable of keeping him alive on the moon. It took a team of 30 people six months to make. Part of his training focussed on acclimatising him to the suit, so he would feel as comfortable in it as in his own clothes – but it severely restricted his movements. “It’s hard to describe how it feels, your movements are totally limited. You can’t breathe that easily. It’s difficult – you don’t feel a damn thing in that suit,” he said. When he first tried the suit on he said that it felt “as if the outside didn’t exist anymore”. As Baumgartner went through his last-minute checks inside the capsule, it was found that a heater for his visor was not working. This meant the visor fogged up as he exhaled. The team took a calculated risk to proceed with the jump after understanding why the problem existed. And early in the dive there was concern that Baumgartner was in trouble. He was supposed to get himself into a delta position – head down, arms swept back – as soon as possible after leaving his capsule. His jump from the capsule was perfect, but after passing through the sound barrier he went into a flat spin – prompting a horrible sense of dread back at mission control. If he was unable to stop the spin blood would rush to his brain, causing a redout, which might result in an aneurysm, brain damage, or death. However he was able to stick out both of his hands and managed to make himself stable, before pulling his parachute and breaking the records.